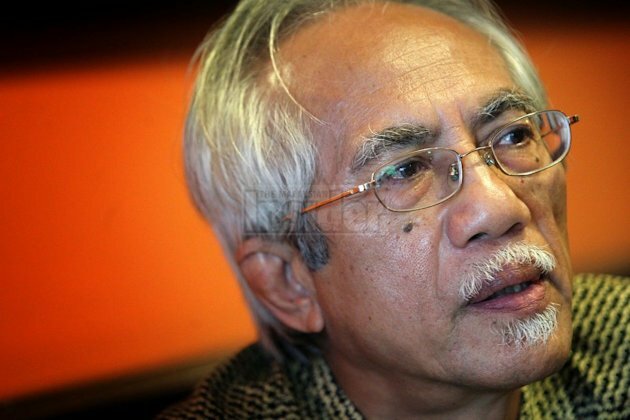 Veteran journalist Datuk A.Kadir Jasin has cautioned Putrajaya against relying on the law of averages when determining income and wealth distribution in Malaysia. Writing in the September 16 issue of the Malaysian Business magazine, he said using the law of averages was flawed, in referring to a recent survey on the rise in the household income of the average Malaysian. Kadir’s remarks came following a statement by Minister in the Prime Minister's Department Datuk Seri Abdul Wahid Omar who said that people were now enjoying a better standard of living as average household income had risen from RM5,000 per month in 2012 to over RM5,900 this year. Wahid had cited a preliminary report of the 2014 Household Income Survey as the basis. Wahid then said he was referring to the mean average household income. "I am more than certain that Wahid is aware that the law of averages is a flawed one," wrote Kadir Jasin. "Former Prime Minister, Tun Dr Mahathir Mohamad often warned about the perils of relying too heavily on the law of averages. "He had said that a person could drown in a puddle with an average depth of two inches, which was totally possible if the victim falls face down, loses consciousness and is not helped," Kadir wrote in the “Other Thots” column of the bi-monthly business magazine. Kadir (pic, left) also said that although average income might have surpassed RM5,900, it was a fact that the bottom 40% of Malaysian households had very low income, in the region of RM1,600 to RM1,800. He also used the example of the recently released statistics on Amanah Saham Didik, an inheritance fund of Permodalan Nasional Berhad, to illustrate the flaw of the law of averages. Kadir wrote that based on its 2014 annual report, the average investment was about RM14,500 an account holder, adding that this figure looked good and would be able to finance an undergraduate at a local public university. The figure also reinforced the belief that Malaysia has one of the highest savings rates in the world, and in the case of Didik, it also showed how well-off and conscientious Malaysian parents were. "But the true picture is vastly different and totally uncomplimentary, where the bottom 86% of account holders have savings of only RM980 while the top half percentage average around RM1.5 million. "The same trend applies generally to other savings instruments, voluntary and mandatory," he wrote in his column titled “Stick to Growth with Distribution”. Kadir also quoted from a new book by economist Mohammed Abdul Khalid titled "The Colour of Inequality – Ethnicity, Class, Income and Wealth in Malaysia", which the newsman credited as having explored well the issue of uneven income and wealth distribution in the country. Kadir said the author had noted after analysing 2009 wealth figures that "as expected, the distribution of wealth is extremely skewed". The book also said that overall distribution of wealth holdings showed that the gross wealth per capita of the bottom 40% was RM123,428 and they owned less than 7% of total household wealth. The poorest 20% fared worse. Their wealth average was about RM11,666, and they cumulatively owned less than 0.2% of the total wealth in Malaysia. Kadir said that young economists and economic thinkers should participate actively in research and discourse on socio-economic matters, especially now when traditional welfare-based economic planning was under eminent threat from the reactionist, market-driven model. "Yes, the market is important, but the market is not always the best indicator of the success of an economy.